Click/tap here to find the best Florida yoga instructor for your needs! Learn Thai Yoga. Go To The Source! SomaVeda® Thai Yoga is an elegant and sophisticated form of spiritual and scientifically based Ayurveda, Yoga Therapy and Natural Medicine. This 164 hr./ 17 day, approximately two week program, will cover all four levels of the Basic Professional Thai Yoga Certification Program plus fifteen additional breakout and/or supplemental courses. SomaVeda® Level 5: Training: Clinical Applications and Development of specific programs for Clients based on Ayurvedic Assessments and Guidelines. With our NAIC Ministerial Program, Graduates are eligible to practice legally in all 50 states and may be eligible for both Vocational and or Clerical Medical Licensing! FULL and REDUCED TUITION GRANTS/ SCHOLARSHIPS AVAILABLE! If finances are an issue in attending we recommend that you apply for one of our generous Tuition Grant/ Scholarship Programs. Start your new SomaVeda® Ayurveda, Thai Yoga practice the day after graduation! No Massage or Massage Therapy License Required! We teach Legal Guidelines and Legal Marketing Practices in every class! This 164 hour/ 17 day intensive program is the original Thai Yoga Therapy certification first brought to the US in 1983. Designed and supervised by Dr. Anthony James, an Aachan, Master Teacher of Thai Yoga, Doctor of Ayurveda, Doctor of Natural Medicine, Doctor of Clerical Medicine and Naturopathy, Native American Indigenous Church (NAIC) Medicine Person. Anthony B. James authored the very first English book on Thai Yoga in 1983! (Traditional Thai Medical Massage, Meta Journal Press). Expert Staff Teachers Khuu McAuley, Khruu James and staff will be assisting. We are the original and oldest running certification program in Thai Yoga in the US! Learn how SomaVeda® Thai Yoga can enhance your life, your practice, your clients and your livelihood and income today! Since we are offering the best program, with the most content and recognition possible and liberal scholarships there is no reason to go any where else! NAIC SomaVeda College of Natural Medicine: Thai Yoga Center programs are Florida State DOE, FSMBT & NCBTMB, AADP, AAPNA Approved for College Degree, Ayurveda and Massage and Massage Therapy Continuing Education. 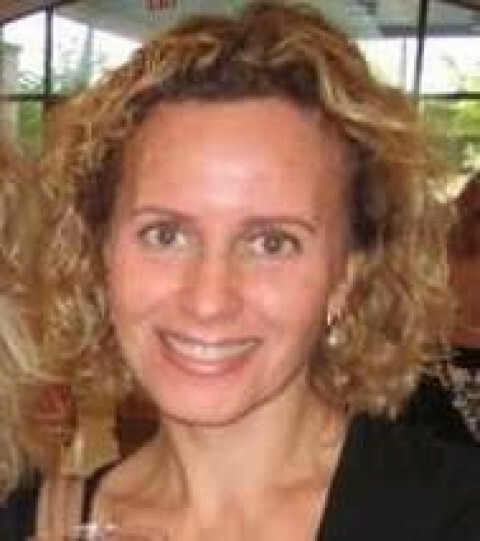 Elinor Grabar is a Certified Iyengar Yoga Teacher & Certified with the International Association of Yoga Therapist, one of the few in Northeast Florida. She has been teaching all levels of classes in the Jacksonville area for over 12 years, and has studied & trained as an Iyengar Yoga teacher for the past 8 years. She continues to regularly study with senior Iyengar Yoga teachers from around the world, including a month-long study at the Iyengar Yoga institute in Pune, India. Her past studies include Restorative Yoga specialists Judith Hanson Lasater and Roger Cole, PhD. Her continued studies and practices are to cultivate a deeper connection to make the yoga practice accessible to students of all levels. Englewood Yoga Center, Loving Light Yoga. We offer a variety of yoga classes for the very beginner to the more seasoned yogi. 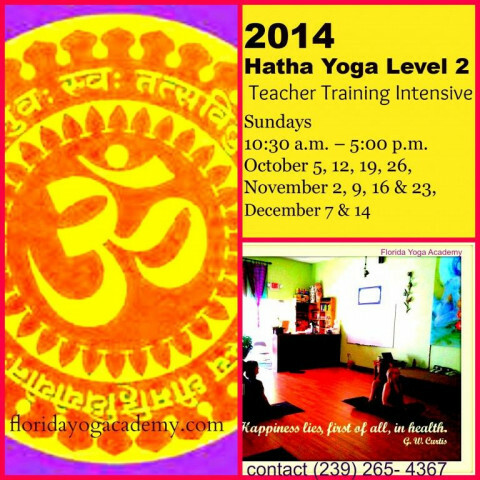 Hatha Yoga for Well Being Level 1 & 2, Infused Yoga for Strength, Yoga/Pilates Infused, Chair Get Fit Where You Sit Yoga, Yin Yoga, Restorative Yoga and Yoga Nidra with Crystal Bowls Sound Healing for all ages and abilities. 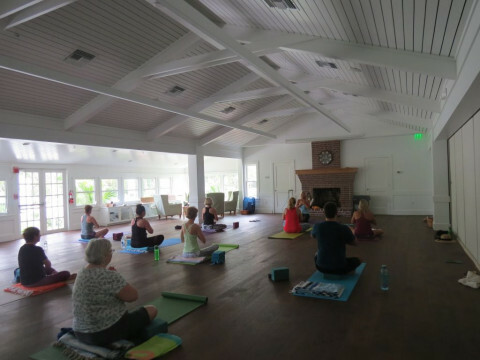 Englewood Beach Gentle Yoga for Every Body offered 7 days a week, all year, holidays included. Beach Yoga is a free will donation class. RYT Teacher Training Available (small group), Gentle, Slow Flow, Restorative, Yin practice. Dana is also a Licensed Massage Therapist and ACE Certified Personal Trainer. Next RYT Teacher Training begins October 2016. 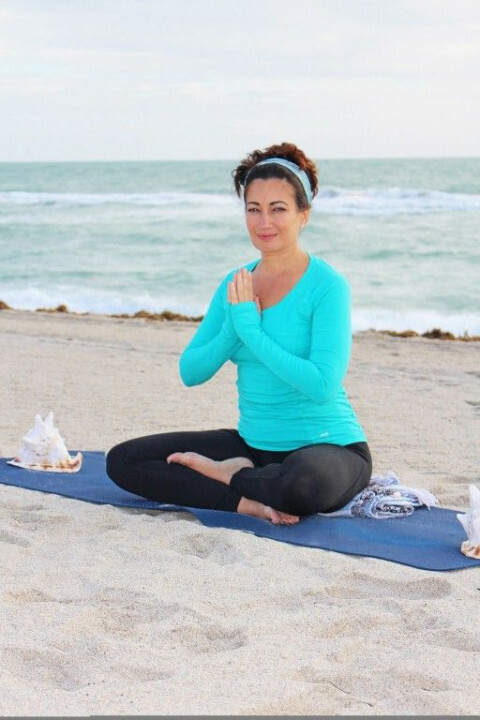 Dr. Susan Pataky, founder of Sanibel Yoga has shared Yoga instruction & Holistic health education for body, heart, mind & soul at various locations and numerous resorts on Sanibel & Captiva Island for 16yrs. A pioneer and most trusted and beloved teacher she has been both a student and teacher of yoga and the holistic arts for many decades and has mastered the merging of ancient teachings with modern science into all her offerings. Her classes and workshops allow students to feel empowered in their bodies, gifting all participants the ability to move, stretch, connect to breath, relax the mind, and brighten the heart while finding their own safe authentic interpretation every step of the way. You will definitely leave class with the tools to continue yoga practice on your own anywhere anytime if you choose. Dr. Susan is also Certified Yoga Therapist (IAYT). She is available for private Yoga or Meditation sessions. She remains devoted to the transmission of the ancient teachings of yoga and for providing tools to live life with abundant vitality & radiant health. I am a lighthearted and approachable teacher with a compassionate approach offering mindful small group and private classes and trainings in Hatha Yoga, Vinyasa Flow, Yoga & TRX, Therapeutically Oriented Yoga, Restorative Yoga, Senior Yoga, Prenatal, Mommy & Me/Postnatal, Infant Massage Instruction and Radiant Child Yoga to men & women of all ages as well as expectant mom's and those trying to conceive, their partners, new parents & their newborns and children in and around Venice, Florida. 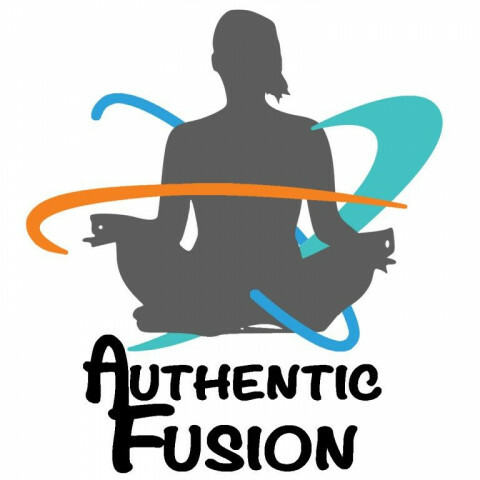 I am available for private and small group classes in your location or at Authentic Fusion Studio on the Island in Venice, Florida. Studio classes are small and provide individualized attention. The studio offers SomaVeda® Thai Yoga, Weekly Kundalini Yoga classes and the Goddess Yoga Experience, Weekly Meditation Classes during season with the cooperation of Kadampa Meditation Center, Intuitive Soul Dance, Latin Dance Classes and Eden Energy Medicine Workshops, classes and Private sessions as well as SUP Paddle Board Lessons, Eco Excursions and Yoga. Meredith specializes in helping students with lower back pain, sciatica and those people who carry the weight of the world on their shoulders. She teaches groups and private classes that help students reduce stress, enhance flexibility and increase self-confidence. 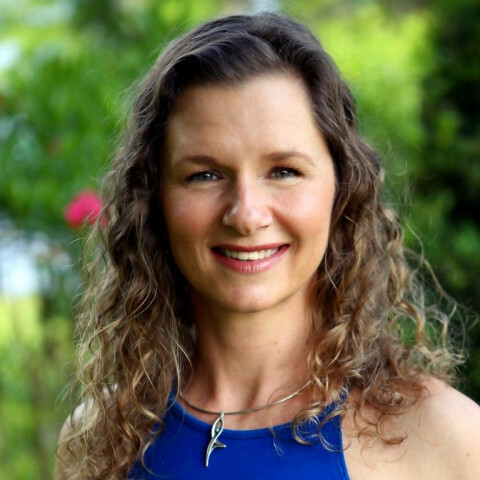 Meredith is also a Holistic Health Coach specializing in helping busy professionals reduce stress, eat healthier, have more energy and make time for the things they enjoy most. She also helps guide individuals in transitioning to a more sustainable, plant-based diet. Many of today’s chronic diseases can often be linked to poor diet and lack of exercise. Meredith creates a supportive environment that will enable you to achieve all of your health goals. A Registered Nurse that is an experienced Certified Yoga Teacher specializing in Fertility Yoga, Prenatal & Postnatal Yoga with mindfulness meditation. Privates, Semi-privates and ONLINE sessions. Also teaching Yoga for Cancer Survivors.